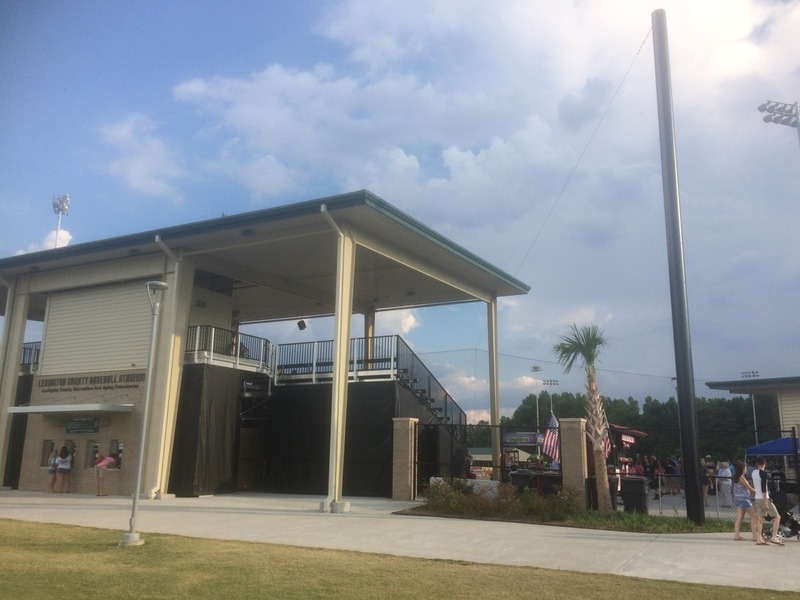 There’s a 30-minute rain delay during Thursday’s game at the Lexington County Baseball Stadium. 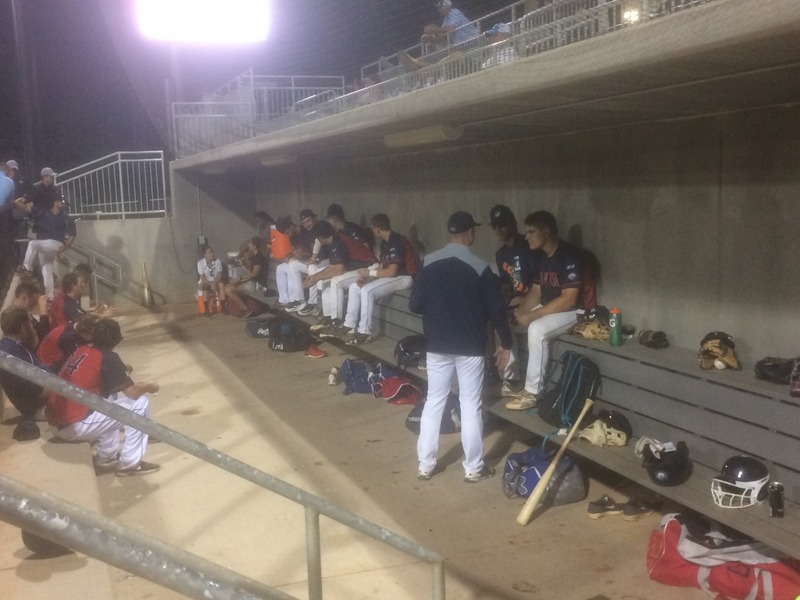 The Blowfish, a college summer league wooden bat team, are passing time by playing a game of tips with some baseballs outside the home dugout. The players tossing the ball back and forth are smiling, and they have no reason not to with the Blowfish up 7-2 in the seventh inning. It is important for this team to win if they have good team chemistry and know each other on and off the field. They are on a two-game winning streak with a win on Thursday against Forest City, including their first back-to-back wins of 2017. The team struggled to find a rhythm at the beginning of the season, dropping 11 games in total with a eight-game losing streak included. On average, they lose by 4.5 runs each game they have lost. The Lexington County Blowfish is a travel summer baseball team but with high-profile major league talent. They scored seven runs while allowing only two runs. With 1,375 people in attendance, it’s clear the relationships extend beyond just the players and coaches. 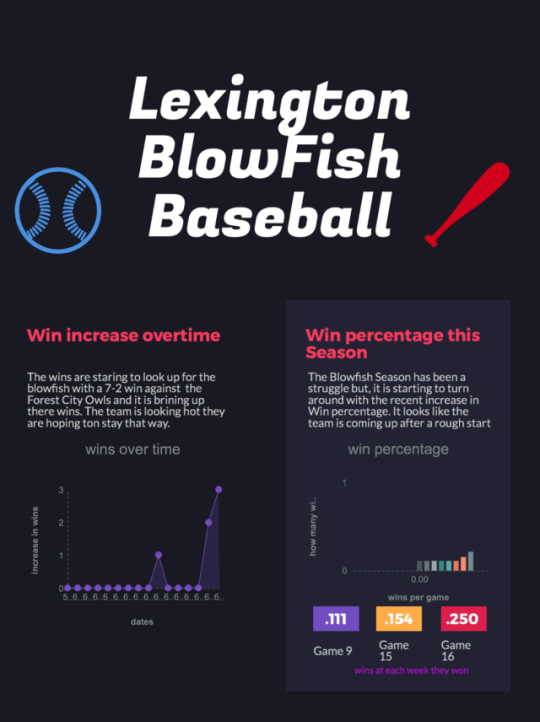 Xavier Barnett, an intern for the Blowfish, said while the poor record might take its toll on a Division 1 team, the fans at a wooden bat team have a different sense of loyalty. In most cases when a team takes a hit with their record, team chemistry is down or not working. Team camaraderie is huge factor in overall success and if the team doesn’t like each other they’re not going to produce on the field. 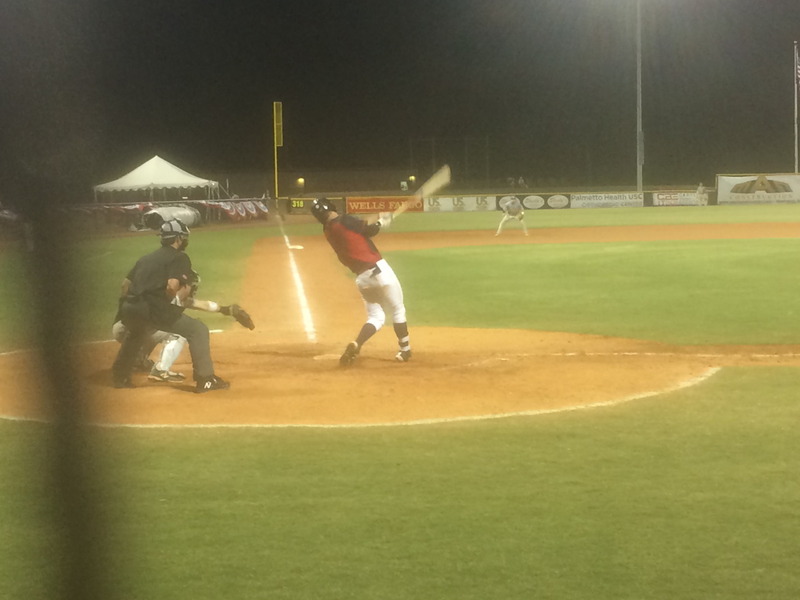 The Blowfish had a solid offense performance against Forest City, beating the Owls 7-2 Thursday night. The offense performance in the Blowfish’s two-game win streak propelled them to a hot streak offensively, making them look like a well-oiled machine. As the team played in the sweltering heat, Mark Mickey sits in his wheelchair along the first base side near the dugout. This is Mickey’s first-ever baseball game, intensely watching every pitch, every play. Even though the Blowfish haven’t started out the best, Mickey stays loyal to his hometown team. Mickey said he doesn’t know anyone on the team but is listening to get more familiar with the players and the game itself. Mickey, a recent Westwood High School graduate, hopes to attend Midlands Technical this fall. Mickey was surrounded Thursday night by over 1,300 fans, cheering while eating hot dogs, peanuts and hamburgers. The crowd was intently watching the game, glued to the action on the field, and it didn’t go unnoticed by the players.